Every drink has its glass. So why not for the most well known Williams pear? That’s why we decided to design an own shape of glass for this fine aromatic spirit. The shot glass with an embossed pear pattern on both sides is CE lined at 4 cl and already packed in transport ready 12-pc boxes. 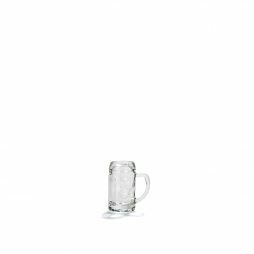 The ISAR is our best-known beer mug shape, most notably due to the global popularity of Oktoberfests. Oktoberfest organisers, however, opt for our glass not only because of its shape, but also because of its weight. Using IS technology, it is possible to make the glass about 50 % lighter than by using press technology. This mug is also known as the “Augenkanne” in many places. Its flat, round dimples give the body greater stability and a more appealing appearance. ISAR beer mugs are available in four sizes from the 4 cl spirits glass to the 1 l tankard. Shoe or boot-shaped drinking vessels go back a long way; early proof of this can be seen in the Urnenfeld period at Korneuburg in Lower Austria (Austria), or from the gravesites of the Celtic chieftains of Hessen (Germany). The glass shape is based on real boots that were worn in the military until the 19th century, used for drinking either as a punishment (Mensurstiefel = literally 'duelling boot') or as a test of courage. From there, the custom spread through student fraternities. 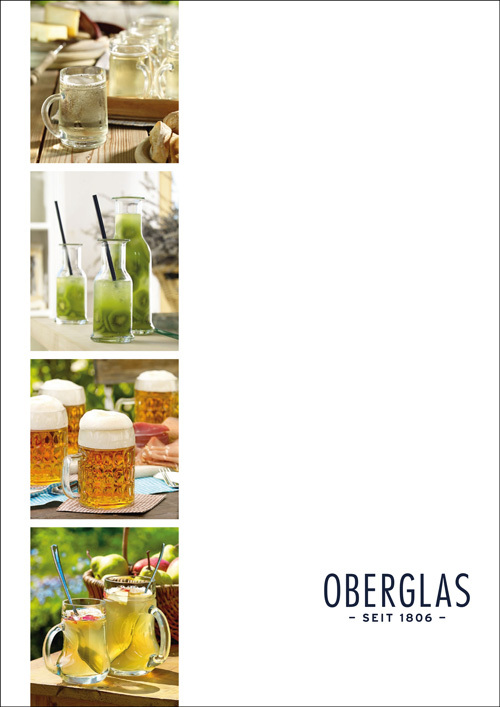 Due to its complex shape, a Bierstiefel cannot be manufactured by just any glass manufacturer; Oberglas, however, possesses the relevant experience and technology. The Bierstiefel comes in four sizes from the 4 cl spirits glass to the 1 l tankard. A beer mug with a big name indeed, inspired by folklore icon Gambrinus, so-called King of Beer. According to legend, it was Gambrinus who invented beer brewing. Our timeless classic comes in the customary sizes 0.25 l, 0.3 l, 0.4 l and 0.5 l, and is one of few beer mugs to be available in the diminutive 0.125 l model too. The latter is known in Austria as the classic “Pfiff” and is enjoying ever-increasing popularity across the world. 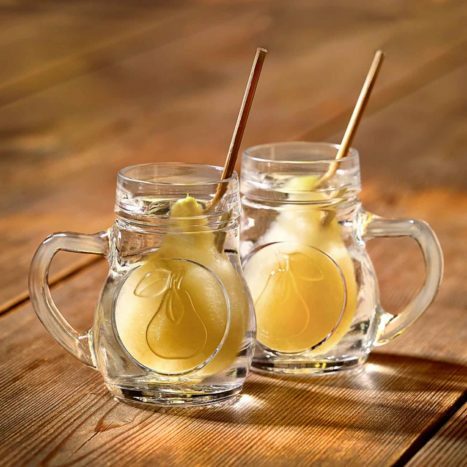 To complete the range, we also offer a 4 cl schnapps glass for spirits-lovers.